Palm tree of superiority "the slimmest" from him took away his own brother Gionee Elife S5.1 with the body thickness of only 5.15 mm! However, its characteristics have been more modest: 4.8-inch Super AMOLED display with a resolution of the HD, 4-core MSM8926 Snapdragon processor 400 1.2 GHz, 1 GB RAM and 16 GB of built-in 2100 mAh battery. Gionee Elife E7 - the flagship device is represented with S5.5 at MWC 2014. It has the following features: 5.5-inch FullHD IPS display, a quad-core Snapdragon 800 with a frequency up to 2.3 GHz, 2 GB RAM and 16 GB of internal memory plus a microSD card slot, 2500 mAh battery on. And if at the beginning of sales it was announced the price of $ 500, now it can be purchased for 140. 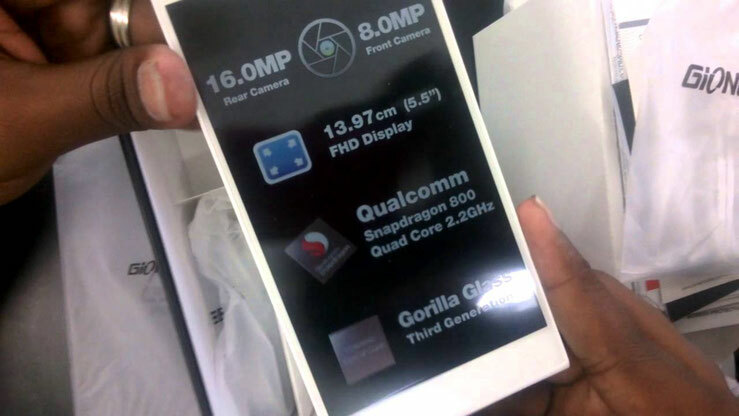 Theoretically, there is an older model Elife E7L c Snapdragon 801 and 3GB of RAM, but it is sold, perhaps, only in China. Gionee Communication Equipment Co. Ltd was founded in 2002. Its first factory Dongguan Jinzhong Electronics has specialized in electronic products and appliances. A year later, Gionee has invested in the construction of another plant - Dongguan Jinming Electronics. He had four automatic lines for the production of mobile phones and more than 5,000 employees. Initially, the plant production capacity to produce 2 million sets of products each year. Today this figure has exceeded 80 million. The first phone Gionee were following GSM models: Gionee 303, 306 Gionee, Gionee 530, 506 Gionee, Gionee 508, GE 618, Gionee 303B, Gionee 516, 628 Gionee. Great efforts have been made to the organization and development of their research and development centers, as well as obtain international quality certificates of production. So, in 2006, it was set up R & D center in Shanghai, Guangzhou, Shenzhen. It invested more than one billion yuan in the construction of a huge industrial park Gionee, more than 200 hectares. Business grew and in 2011 the share of the domestic market of mobile phones Gionee was 11.2%. In the same year the company began to expand to other areas. To date, Gionee has the largest production capacity in the world. It has six research centers that work in the areas of design, hardware and software of the smartphone sales, marketing, communications technologies and many others. Gionee Products officially sold in India, Bangladesh, Pakistan, Indonesia, Vietnam, Thailand, Philippines, Malaysia, Russia, the Middle East and Africa. Moreover, exports to these countries reached 1 million. Smartphone month. We should also be said about the Indian market as one of the fastest growing in the world. Gionee very seriously went to his conquest. The number of smartphones sold in India, it is close to 10 million. The company began to produce their own devices in the Indian manufacturing facility Foxcon. And plans to build factories in India. Gionee also is the largest manufacturer of smart phones for the OEM brands from around the world. This Blu (USA), Himax (Indonesia), Condor (Algiers), Evertek (Tunisia), Allview (Romania), Prestigio (Russia), QMobile (Pakistan), Fly (UK), General Mobille (Turkey). In 2013, Gionee unveiled its sub-brand - IUNI. The company aims at a unique and colorful design that is incorporated in the name of the brand - I UNIque. 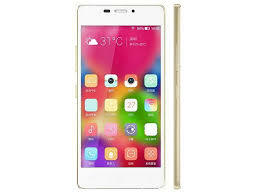 Smartphones from Gionee are pretty high quality products with interesting and distinctive design. In its flagship they use top production MediaTek SoC or Qualcomm, quality and IPS screens SuperAmoled with high resolution and a protective glass from Corning, metal and glass as a material body, and ... "horse" price tags at the beginning of sales. However, they then fall significantly. New: Gionee S6 Pro appeared on the site TENAA!